A boater’s life can lead to adventures all over the world as seen by “The Log Abroad” department in this humble maritime publication. The Log has featured photos of our readers traveling all around the world to a variety of amazing locations — with The Log in hand! 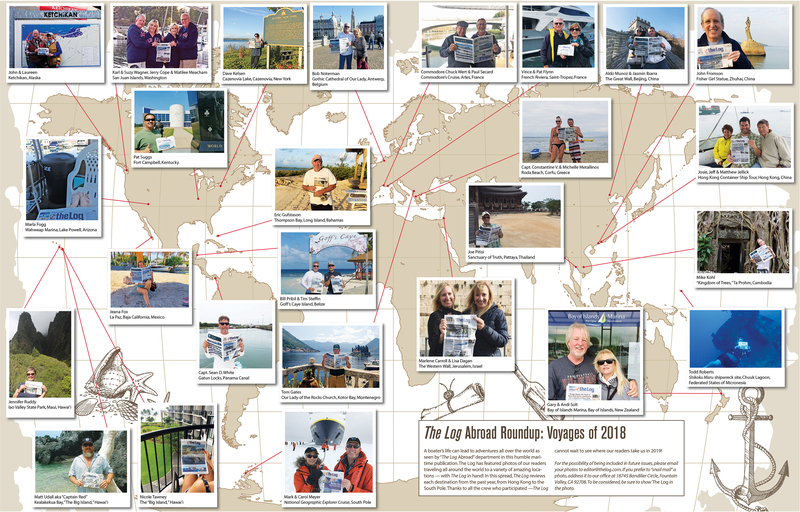 In this spread, The Log reviews each destination from the past year, from Hong Kong to the South Pole. Thanks to all the crew who participated —The Log cannot wait to see where our readers take us in 2019!